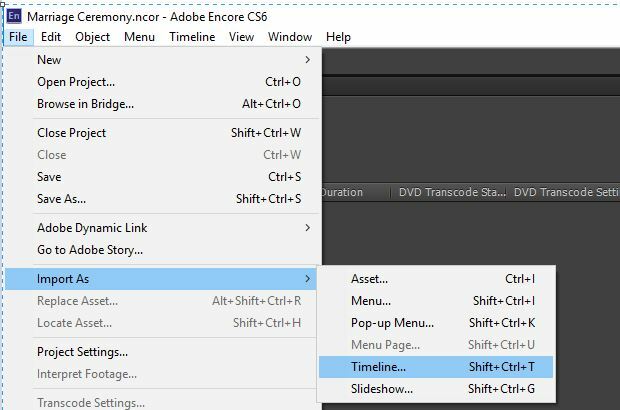 Exporting files from Premiere Pro CC and importing them into Encore CS6 for creating a DVD. 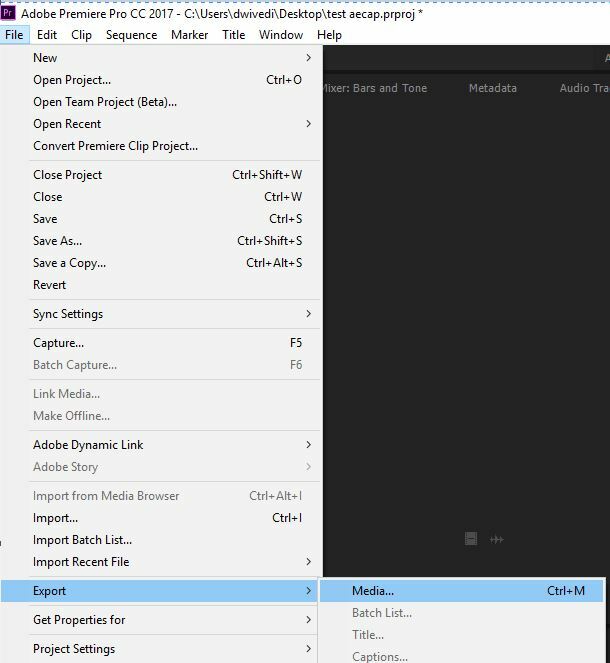 To export files from Premiere Pro CC, select File > Export > Media. Select Export Settings > Format > MPEG2- DVD. 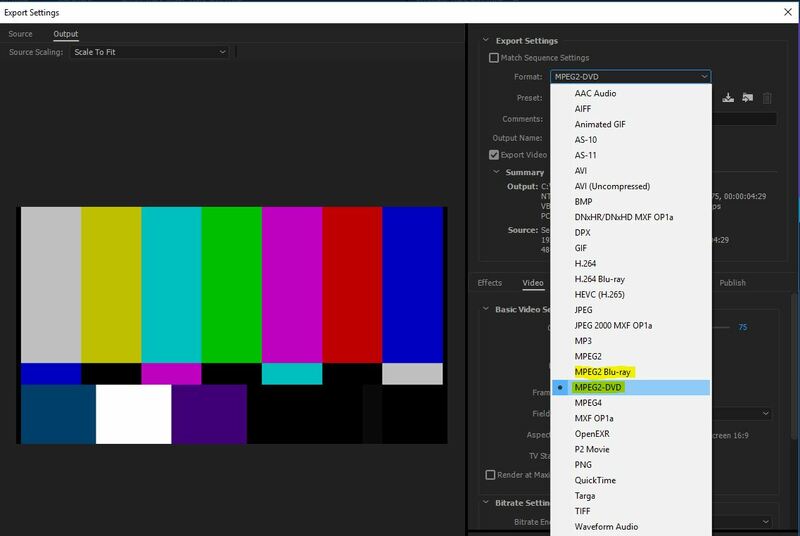 Select Export Settings > Preset and choose an appropriate preset listed in the table below. 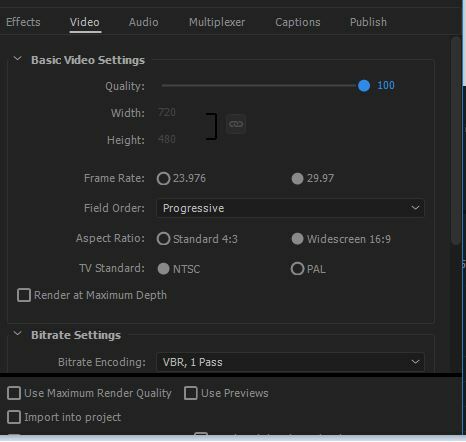 To export the file, click Export Settings > Basic Video Settings > Export. To import the files exported from Premiere Pro CC, launch Encore CS6 and enter name and location to create a project. 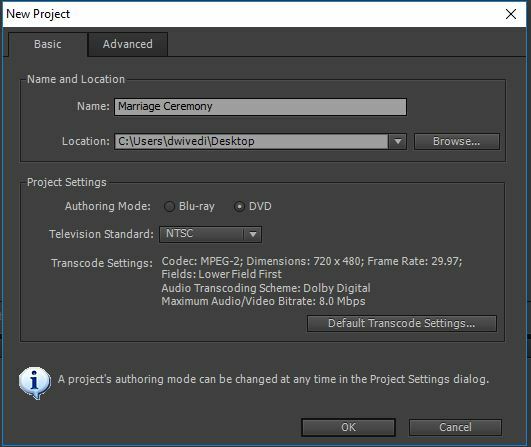 To write a DVD, select New Project > Project Settings > DVD. 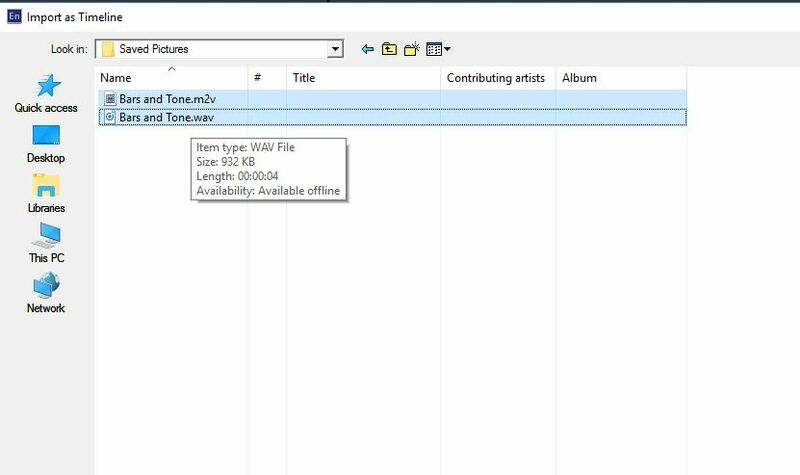 Select File > Import As > Timeline. 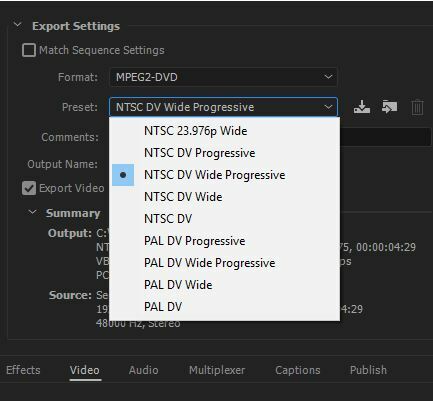 Choose .m2v and .wav files exported from Premiere Pro CC and click Open. In the Properties panel, enter the project Name and Description. Ensure that First Play is set to “[your timeline name]: Chapter 1”. Select Project window > Properties > Timeline > End Action and enter “[your timeline name]: Chapter 1”. Select File > Check Project to validate the DVD configuration. If "Title Remote not Set" is displayed for a DVD (without secondary menus), continue to follow the subsequent steps. However, if other problems persist, ensure to resolve them before proceeding with the subsequent steps. Within the Build tab, choose Format > DVD and Output > DVD Disc. Verify that Write Speed is same or lower than the maximum write speed for your disc. If the Check Project warning appears, choose Ignore and Continue to follow the instructions for inserting a DVD. You can now proceed to finish creating the DVD.